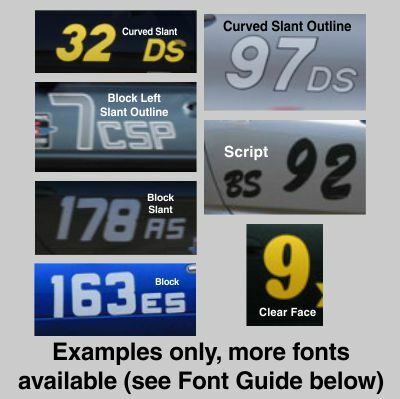 Our Autocross Number Packages include the numbers (8", 10" or 12") and class letters (5") you need for both sides of the car. By purchasing a package, you save close to 10% on the order. 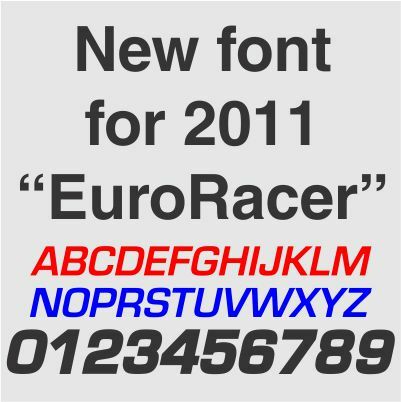 This kit includes up to 3 digits for the car number and 3 letters for the class designation. 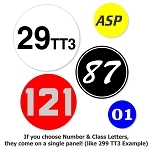 Additional single numbers are available for $15/pair and letters $6.00/pair. E.G. if you select 455 as your number and need to add a 1 for a co-driver, use this option. Or if you select DSP as your class and need to add an L, use this option. HINT: Even if you only need a two digit number, add a "1" to your order in case you ever have a co-driver! Select the color/material you want, and the font. Then enter the number and class you need in the box above. 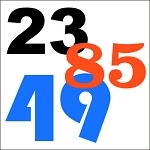 In just a few days, we'll deliver to your door a high quality, long lasting set of numbers that you will be proud to display. Sorry, 3d Shadow, Outline and Two Tone Effects are not available on number packages. If you desire these effects, please order the numbers individually. Note: Colors vary from lot to lot especially in Reds and Oranges. If you are looking to match a previous purchase please contact us before ordering. 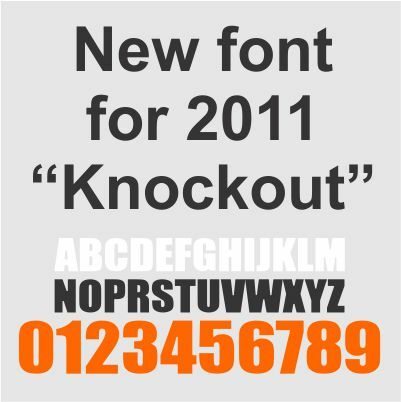 Note on slanted fonts. 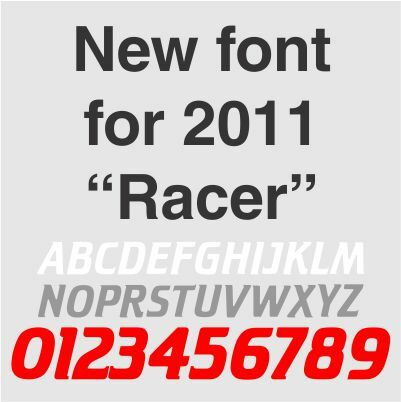 If you select a SLANT or SLANT LEFT font, the entire package (both sides of the car) will be the same slant. If you want one side to slant right and one to slant left, please put a note in the order comments. 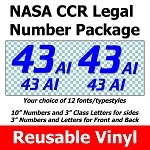 Q: Do you get two sets of numbers and letters for both sides of car with this package? 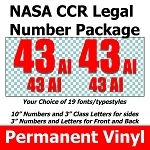 Q: Does the 12 inch Single Color Magnetic Number Package come with a pair of numbers (i.e. one set for each side of the car)? A: Yes, the package comes with enough for both sides.